Undergraduate completes successful project on using bike parts and a pressure cooker to generate wave energy for phone charging. 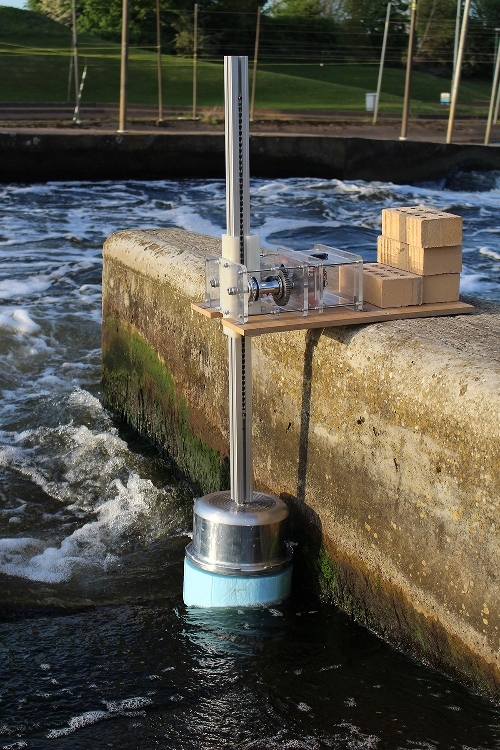 Designed for near-shore use, it can generate 5.6 watts from a regular supply of 20 centimetre high waves, making it capable of powering a regular mobile charger. A rack made from an aluminium extrusion channel is fixed to the pressure cooker lid and creates linear energy as each wave passes beneath. “As well as being of use in some developing countries, this technology has the potential to be scaled up to create larger quantities of power in countries such as  the UK, which has a large amount of natural energy produced by a regular supply of waves from the North Atlantic Ocean.